Neil Gaiman and his American Gods producers have just announced their TV acquisition of one of the weirder established classics of modern fantasy literature, with Deadline reporting that Gaiman and FremantleMedia have won a reportedly heated bidding war for Mervyn Peake’s beloved Gormenghast books. Slow-paced, hypnotic, and strange, Peake’s mid-century classics of madness and manners were last adapted for the screen by the BBC in 2000, a project that co-starred Christopher Lee, Stephen Fry, and Jonathan Rhys-Meyer as Peake’s slimy and ambitious villain, iconic kitchen boy-made-good-made-very-very-bad Steerpike. The series is pretty obvious catnip for someone of Gaiman’s occasionally Gothic sensibilities, which suggests at least one reason why Fremantle was willing to lay down big money to get the rights. 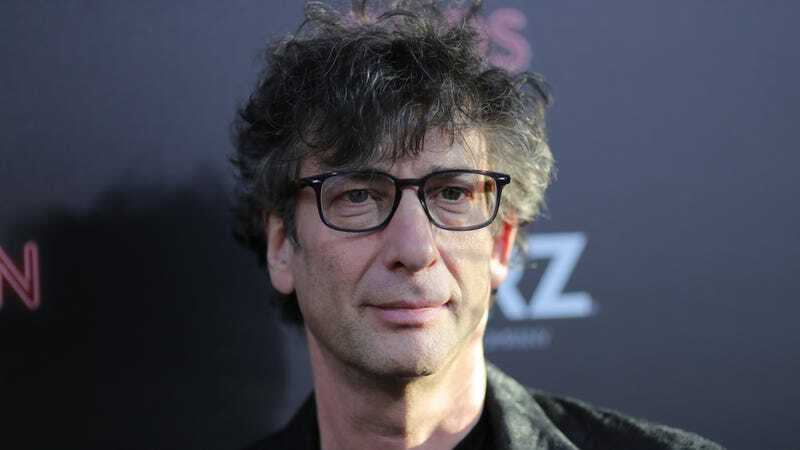 Gaiman and crap blockbuster auteur Akiva Goldsman are both serving as non-writing producers on the show, while Fremantle hunts around for a showrunner to handle the series proper. The company has yet to secure a network for the series, either, although we imagine that Starz might hypothetically be interested, if Gaiman and co. can prove themselves capable of getting the behind-the-scenes drama that’s been plaguing Gods recently back on track for its second season.